18,000 mile service - not good! New throttle twist grip and associated electronics (lost the smooth action). I was not very impressed to say the least! Re: 18,000 mile service - not good! What would the damage have been had you had to foot the bill? Best start looking at the extended warranty. Or look at changing the bike for a newer model. What I will say in defence of BMW. In my opinion they do not quibble to hard on warranty work, not like my experience with Triumph. A battle from start to Finish with them. Never go there again. Well at least BMW did the work under the warranty without quibbling - imagine how pissed you would have been if you had to fork out for that little lot. I guess if the bike is prone to serious issues at 18k then that confirms the validity of my strategy to change the bike at 2 years and get a new one before the warranty runs out. 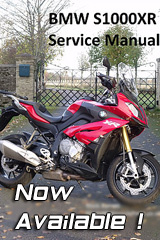 Dont know what I will do now that they have a 3 year warranty on new bikes - guess I will change at 15k before the 18k service to avoid that large cost. For what it's worth, my new '18 is most likely going to need the throttle tube/assembly replaced as well. Currently at about 900 miles. If you try to meter it open slowly, it can be a bit sticky and you can hear it squeaking. I gave it a little shot of silicone spray under the tube and it helped a little bit, but I know they just replace them when this happens. Fairly common on GS's and the new Goldwings as well with the same TPS design. It did only occur after the bike was ridden in the rain and then washed with soap and water, so it may be worth paying extra attention to avoid spraying water around the throttle assembly (which I thought I did) I certainly didn't soak it and I used the little blower to dry the bike and controls, so I'm not sure it is directly related. It's a defect either way. I've washed my XR twice now. I use a hose to wet it, and then to rinse it again. I've never experienced such a thing, though. Maybe I'll tape up the throttle assembly with plastic before washing next time.